The Flower Appreciation Society was founded in 2009 by Anna Day and Ellie Jauncey. Lovers of all things floral, their journey so far includes providing flowers for weddings, festivals and parties, and writing a book (published by Sphere). Their work has been featured in The Telegraph,Vogue and Marie Claire. 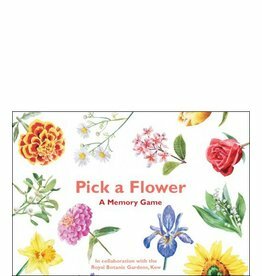 A beautiful boxed game for nature lovers, where players pair up flowers with their typical uses and meanings.